Hello, Spring! We’re glad you’re here. Please, join us for a game or two. Games Editor Al Rosenberg may not be able to remove herself from Hearthstone on her cell phone long enough to do much of anything, but other folks are having exciting gaming adventures. Readers, what are you playing this month? Elder Scrolls Online recently had a big update—say hello to Tamriel Unlimited! Besides tying up some major gameplay changes since it’s original release, ESO has gone buy-to-play. You can still “subscribe” for bonus EXP gain, monthly Crown Points, etc., but the gooey base game as we all knew from day one is now free once you buy the initial game. I’ve had an odd relationship with ESO in the past. I crammed too much into the beta phases and was then disappointed when things I enjoyed were adjusted in the final release based on user feedback. How dare they! Only my feedback counts, surely! It had also lost the initial allure, considering I’d play the starter content already on all of the factions. I gave the game a rest for a while and decided to return to it when Tamriel Unlimited was released last month. Since then, I’ve been playing on and off with my husband and on another character when he’s not around. My old character is a Bosmer Nightblade of the Aldmeri Dominion, archery-based. She’s still around, but I wanted to start fresh for the new content and adjustments, so I’ve rolled an Imperial Dragonknight with one-handed sword and shield (loyalties lie with the Daggerfall Covenant) for when I’m playing with the other half. For my solo play, I decided to go outside my comfort zone and the constraints of the norm. This job called for a Sorcerer—one that would NOT be using a staff. I have to say that I’m genuinely having more fun this time around than last, and because of the absence, the game feels a lot fresher and intriguing. I’ve yet to sample the new Champion or Justice systems. While thieving and murdering isn’t my usual bag in games with chooseable morality, it looks just too damn fun to pass up—I may have to roll another character specifically for that stuff though. Oooh, a Templar Thief would be interesting, maybe? I purchased this game from the moment it was released on Steam, because DONTNOD makes some beautiful and inventive games, and they don’t bow to the pressures of publishers who don’t believe gamers want a female protagonist. The game’s been sitting on my Steam Wall of Shame though, until recently, when a friend’s concerns about the apparent creep-factor of the guys in the game re-sparked my interest. I’m just in the early stages, but I’ve made it to the main character, Max’s first opportunity to “rewind” the recent events of her life. With this new ability, she’s even able to save the life of a girl who gets shot in the washroom. Rewinding first appeared in DONTNOD’s previous game, Remember Me (reviewed here), where you could perform “memory mixes” to alter people’s recollections of events. 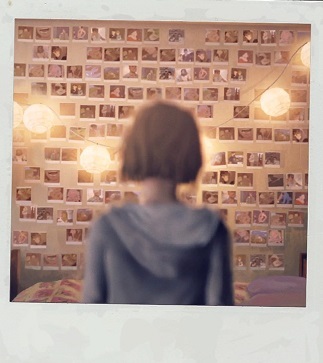 It was one of the best, but most underused aspects of the game, so it will be interesting to see how they have expanded on it in Life is Strange. There’s been a lot of buzz about this game lately. 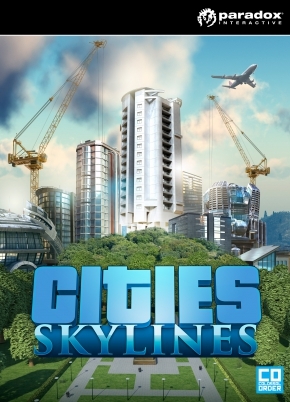 With the unfortunate shutting down of Maxis Studios, and the extremely negative response to what Sim City (2013) became, it’s odd yet refreshing to see such a dark horse come from behind and scoop up the crown. Cities: Skylines really plugs directly into what I want from my macro-level management games. There’s a nice balance of eating the cake and having it too, with a lot of the colour scheme and direction of the UI. Aping off of 2013’s Sim City, while also bringing something new to the table with how they put a different spin on those elements. You have your water, your electricity, as well as your residential and commercial and industry zoning. However, you have to manage where you put your water and connecting sewage with the current of any adjacent body of water, and electricity isn’t connected by roads, but by power lines and the inhabited buildings themselves. Then with your zoning, you can create specific districts and have them specialise in certain respects with regards to nearby natural resources as well as demand from your population. In addition, you have other aspects to monitor, such as noise pollution from your roads, highways, and districts, wind and water current, which determines your power output, export and import values of your goods, and most hellish of all you have traffic flow and density to manage. Where Sim City scratches the surface, Cities: Skylines takes a mining drill and bores directly past several geological layers. Not to mention the incredibly intuitive and slick implementation of mod support through the Steam Workshop. With that in mind, you have a veritable cornucopia of content that are, in a lot of cases, some of the most compelling and handy additional toys you could hope to play with in your new city. Just don’t be the sort of mayor I am, hopping from town to town, leaving destruction and sadness in my wake from the amount of crippling debt I accrue and mismanagement of sewage systems. Sometimes a beach and local aquatic ecosystem have to perish to make way for progress, I don’t make the rules. I become more and more of a Hearthstone fan every month. I’m still honestly not that good. Card games just don’t come as naturally to me as shooters or adventure games. But I’m addicted. Now it’s on my phone. The app is free, as is the PC game, though the expansions will cost you. It’s tied to your BattleNet account, so your levels and cards are all readily available to you on your mobile device. The interface is slightly pared down, but pretty much the same as the PC version. I haven’t hit any glitches yet, and it sounds good on my phone speakers. Join me! So that’s gaming for us. What are you all obsessing over this month?